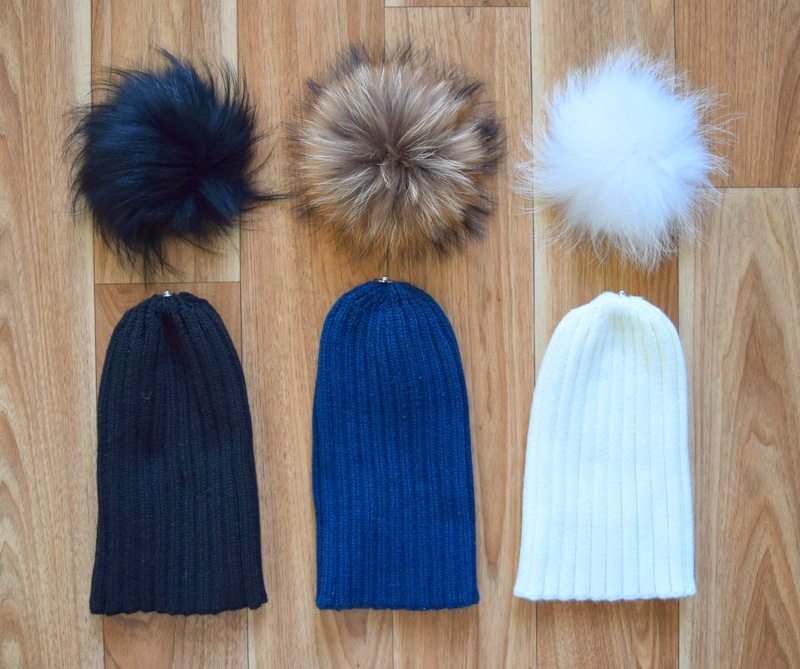 I am obsessed with pom pom hats and my collection has been growing for years. 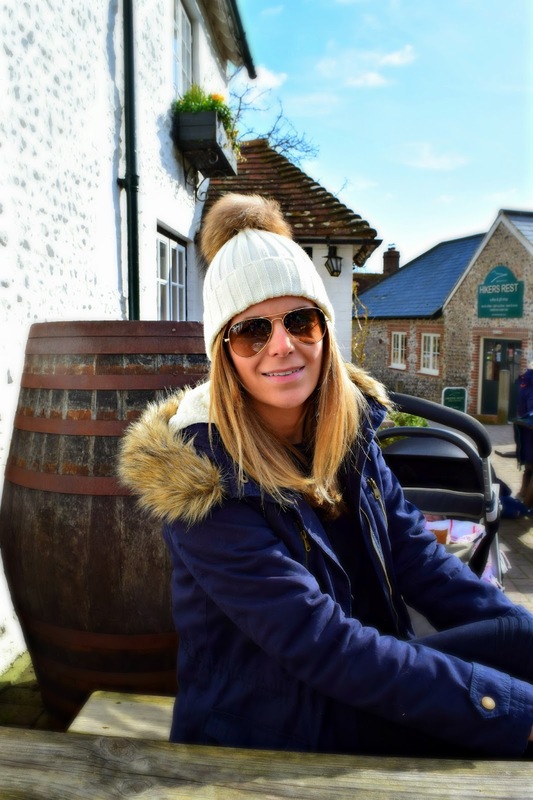 With the weather unable to make up its mind, I'm determined not to be caught out and have been tucking one of my gorgeous Amelia Jane London pom pom hats in my bag ready to pop on at a moment's notice. I love the on-trend oversized pom pom and, my favourite bit, that you can alternate them. I have three colours: ivory, black and navy. Before I popped them in my basket, I was savvy enough to choose a variety of pom pom colours so I can interchange them to suit any mood or outfit. I have since realised that you can actually order individual pom poms which allows you to do a similar thing. The popper button is sturdy and means you don't need to worry you could become pom pom-less(!) and, unlike with lots of other brands, you can freshen your hat up easily (essential with a light colour like ivory). 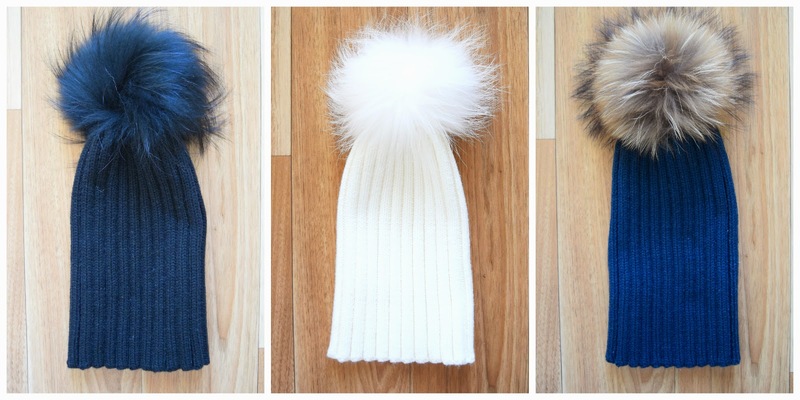 There are so many on the market, but Amelia Jane London were the only company I found that had the lovely over-sized pom poms all the fashionistas are wearing, but also have an option to choose, realistic looking, faux fur. I've had so many compliments since I have been wearing them that I think they are worth every penny. I hopped back online to order a red one for a pregnant buddy who was patiently awaiting the arrival of her overdue baby boy and it cheered her up as it gave her something new to wear at a stage in pregnancy where you avoid buying anything else yourself. The only danger was that I had to stop myself from adding the lust-worthy candy pink, sky blue or all-grey to my own collection! © There's Always Sunday | All rights reserved.